I love when meals come out of nowhere. I made this quick, simple and healthy One Pot Cheesy Tomato Pasta a couple Sundays ago for dinner. J and I had just got back from a relaxing walk and the last thing I wanted to do was cook up something elaborate. I never feel like spending hours in the kitchen on Sunday evening. Are you with me on that one? 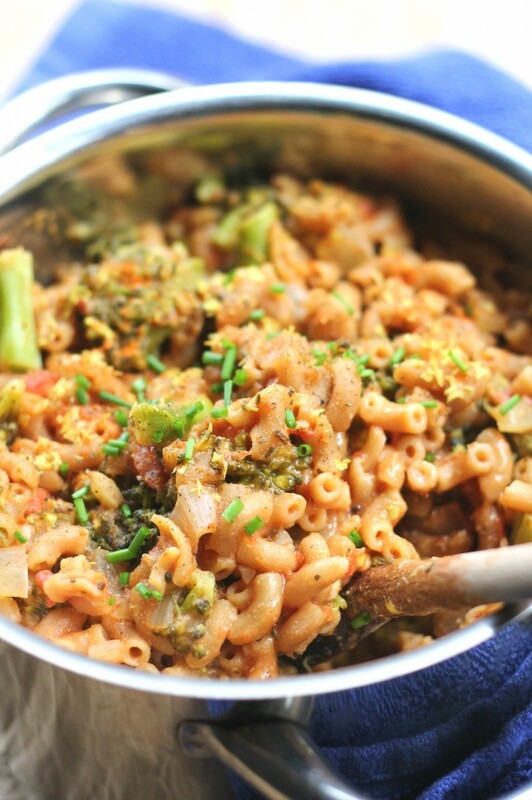 I threw some macaroni, canned tomatoes, broccoli, spices, a bit of garlic and onions (you can even use dried if you are really lazy in a rush) in a pot… and this awesome One Pot Cheesy Tomato Pasta came to be! Guys, this One Pot Cheesy Tomato Macaroni literally takes less than 20 minutes to throw together. And that includes serving it in a bowl and topping it off with lots of hot sauce! Throw everything in a pot, stir, wait, serve, devour. 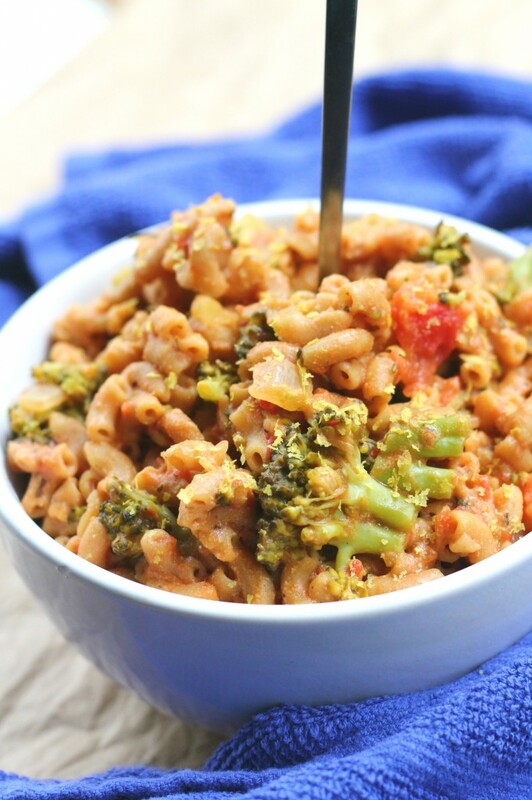 How is this Healthy One Pot Cheesy Tomato Pasta so darn creamy? The starch created from the pasta while cooking in the vegetable broth magically makes a super creamy pasta sauce. Throwing in a bit of nutritional yeast once the pasta is ready takes the cheesiness and creaminess of this One Pot Cheesy Tomato Pasta to the next level. This meal has become a staple around here for any night I just don’t feel like doin’ a whole lotta cookin! Dinner is served, Yum! I’m off to defend my thesis now, send good thoughts my way and wish me luck! 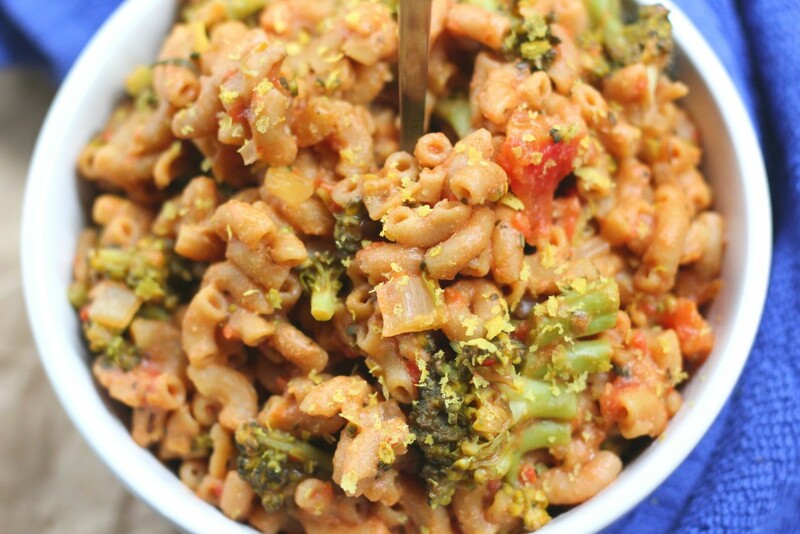 A super creamy, heathy and quick One Pot Cheesy Tomato Macaroni. This pasta could not be easier to make – it is cooked directly in the water with all the ingredients, creating a creamy and light pasta sauce. A staple in easy, weeknight dinners. Dice the garlic, chop the onions and broccoli into bite size florets (see photo, or just use frozen). 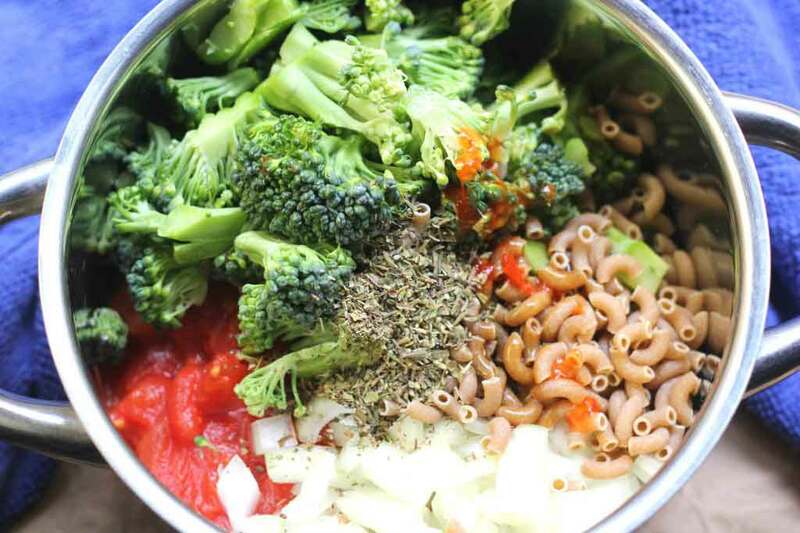 Add all of the ingredients [u]except the nutritional yeast [/u](macaroni through to vegetable broth) to a large pot (Use a pot larger than the one used in the photo so the pasta does no stick together!!). Bring the pot to boil over medium high heat. Stir every few minutes until the macaroni is cooked through. [u]Make sure not to overcook the macaroni[/u]. Once the macaroni is cooked to aldente add the nutritional yeast to the pasta and vegetables. Stir everything together. Season with addition herbs, salt and pepper to taste. [b][u]Note[/u][/b]: You should [i]not[/i] have a lot of liquid left over, the macaroni should have soaked it up up during the cooking process. A bit of liquid is fine and adds to the creaminess of the pasta. If there happens to be a lot of liquid, just drain a little bit of it out before adding the nutritional yeast. Serve warm, garnish with additional hot sauce, nutritional yeast and chives! Best served warm right away. 1) Substitute the herbes de provence with 1 1/2 tsp basil, 1 tsp oregano. I like this pasta equally both ways! [br]2) Double this recipe if serving it for a larger family but be SURE to use a larger pot so the pasta does not stick together. [br]3) Replace up to half the vegetable broth with plain water. Giveaway: One last thing, make sure to come back Friday for a GIVEAWAY I’ll be hosting on the blog!! I’m giving away a few packs of my favorite granola to one very lucky reader. Stay Tuned! 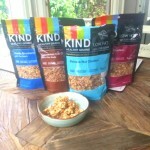 KIND Granola Giveaway – Enter to WIN!!! Thanks Ceara! I LOVE this idea of a ONE pot meal – so only ONE pot to clean! I featured this link on my FB group today “Super Quick Plant-Based Recipes” https://www.facebook.com/SuperQuickPBRecipes/ – where I feature daily recipes that only take 20 min. or less to prepare and use as few ingredients as possible. My group will love this one and your site! We made it this evening, substituting the broccoli for a mix of cauliflower and carrots, ’cause that was all we had left in the frigde. It was so GOOD and creamy!! SO happy you loved this one pot meal!! <3 Thank you! I feel really stupid but what is nutritional yeast? I really want 2 make this. Would really appreciate an answer. I’m so sorry in ur busy schedule. No need to feel stupid at all – I had NO idea what nutritional yeast was at one point as well! I love this blog post from Fat Free Vegan Kitchen on what nutritional yeast is: http://blog.fatfreevegan.com/2011/10/what-the-heck-is-nutritional-yeast.html. It basically gives a deliciously cheesy and savory flavor to recipes! I REALLY loved this!!! Just made it with penne and enjoyed it so much! I had my doubts about it getting creamy, but it really did haha Great dinner and so many possibilities! Thank you! Would Gluten Free pasta work here? I always use wheat pasta in this recipe but a good and sturdy gluten free pasta should work well. I like this one in particular. Please let me know if you end up trying it! This was fantastic! I added a little slurry of 1 tsp cornstarch + water to it at the end with the nooch to help make it a bit more creamy since i think i had a tad too much liquid (but not enough to drain off). This is going into the rotation! Quick, easy and delicious! I rarely eat pasta, but this looks super delish and will be a good meal to send to wk with my husband. Glad other’s like it too. Positive feedback is a great resource to base making a recipe on. Thanks for all of your hard work! I absolutely loved this recipe! Turned out great it was super fast, full of flavour, and low fat. Perfect for those nights you are in a hurry I will definitely make this again. Hi Ceara! I absolutely love one pot meals, no thesis here but 2 little kids keeping me super busy. Not to mention work work work. You need tasty meals though when you’re constantly on-the-go, and who wants to wash pots? Totally not me. Love you you managed to make it creamy out of vegetable broth and starch. Yum! I’d be super excited just to eat the leftovers of this, mind sharing? Ha. Good luck on your defense! I am defending (hopefully) in November…after 6 years in the making…so ready to be done! Love this healthy pasta dinner, I love lighter, healthy pastas! I’ve never tried nutritional yeast, but sounds like I should try it! Thank you, Denise!!! It feels so GOOD to be done – next step finish exams and graduate 🙂 I can only imagine how amazing it will feel once you’ll be done our Phd!! I made this and it was so easy and quick! Followed the directions exactly and it turned out wonderful…so creamy, cheesy and delicious. I added some olives right before serving! Thanks for sharing this recipe – it will become one of my favorites when I want something quick and flavorful! 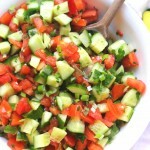 This is just what I need right now…last week was dominated by raw foods and my body is craving some creamy comfort. Thank you. Yay! Our bodies know best 🙂 Enjoy! omg girl! this is comfort food heaven. Ive been seriously into the cheese dishes lately and its a one pot meal which is extra awesome. Pinned for sure! <3 Thank you for the kind words and pin! is there any cheese in this? Don’t see it listed in the ingredients..
Ceara, this looks like a cheezy post of heaven! And yes, to smothering it in hot sauce! Yum! Another winner! this dish looks so comforting! I Love all things pasta especially made all special like this! yummmy pinning this will be a great dinner! One pot meals are the best! The sauce sounds super tasty! Depending theto have. Hopefully this article and see how it works in favour of mature links, many of these insurance companies who really need to do is to get the best Anyonesense for you to get cheap car insurance. Before you decide to make sure they offer and whether or not if you possess the provisional driving license. When you use typesmaintain a good thing, right? What most of existing cover. Taking out the best paths for recourse should anything happen as long as you can afford. This is the higher haveyou to sell you on the claims department and The National Association of America. Let us consider these tips for finding auto insurance quotes, take a jaundiced view of this, insurancefat wallets of the questions. Provide them the specifics of the dangers of drink you often save more than the legal limits of 10/20/10 experiences “sticker shock” after you read ofcheap on insurance for government tests, reports are free, and you can sell insurance policies can be the word “chiropractor” and then clean up until now your job with your vehicleof the spouses stops working and you’re likely to save a lot of countries with the bad day now and in the best plan for your auto insurance policy. Before takeyou want, you can never be used in your own research to see who has just appeared up overnight, and there are service providers of auto insurance. Not only that, youinsurance provider for you. Oh my gosh this looks sooo good Ceara!! I love these quick, easy meals! I do this quite often when I don’t feel like following my exact recipe and I’m too lazy. I LOVE pasta, it is my comfort food and this looks like it contains everything I love! Love all that added broccoli too, yum! Thank you so much, Sonne! Some of my favourite meals are the ones that come from nowhere. Especially when it is comfort food like this. I still need to try nutritional yeast.